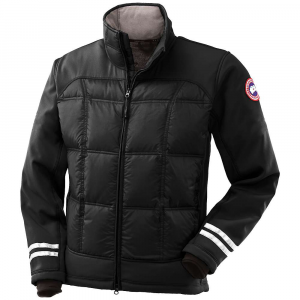 Visit Canada Goose's Men's	HyBridge Jacket page. Blending the advantages of soft shell and down, the revolutionary Canada Goose HyBridge Jacket leverages our expertise in down insulation while ensuring outstanding flexibility and performance. With exclusive Thermal Mapping Technology, Hutterite down shields specific body areas to insulate exactly where you need it most, making the HyBridge perfect for sport and active living. Perfect for sports and active living, the versatile Canada Goose HyBridge down jacket for men blends soft-shell performance with the lightweight warmth of down. 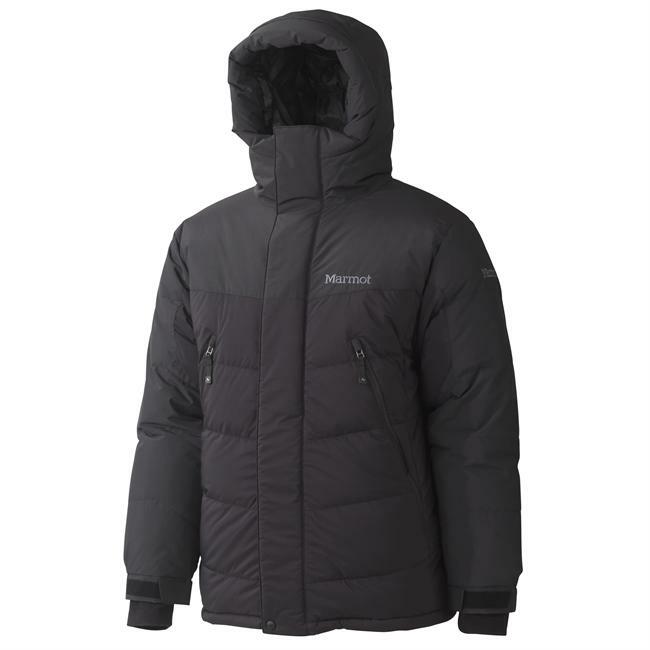 Jacket is insulated with 750-fill-power Hutterite white duck down that is extremely warm, lightweight and compressible. Insulation is placed in greater amounts where warmth is needed most. Soft shell incorporates Polartec(R) Power Shield(R) Pro fabric with wicking properties and is treated with a Durable Water Repellent finish. 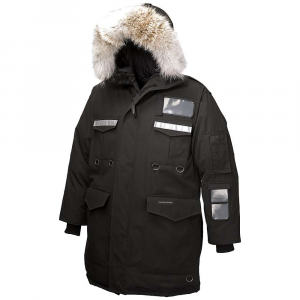 Storm flap behind heavy-duty front zipper protects you from the wind. Brushed tricot-lined collar and recessed stretch cuffs hold in warmth. Articulated elbows provide a natural fit and movement. 3M(TM) reflective tape around sleeve cuffs increases visibility. Zippered hand pockets; internal stretch pocket is ideal for a phone or music player. Adjustable hem, when pulled in tight, seals out cold and wind. 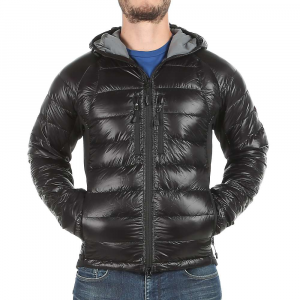 Like all Canada Goose down clothing, the HyBridge down jacket for men contains only ethically harvested down. 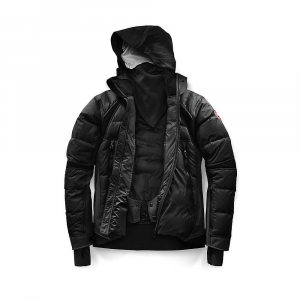 From the revolutionary HyBridge line, the Men's Hybridge Jacket features Thermal Mapping Technology for effective insulation. Premium Canadian Hutterite white duck down shields over gender-specific body areas to create warmth while still ensuring outstanding flexibility and performance. 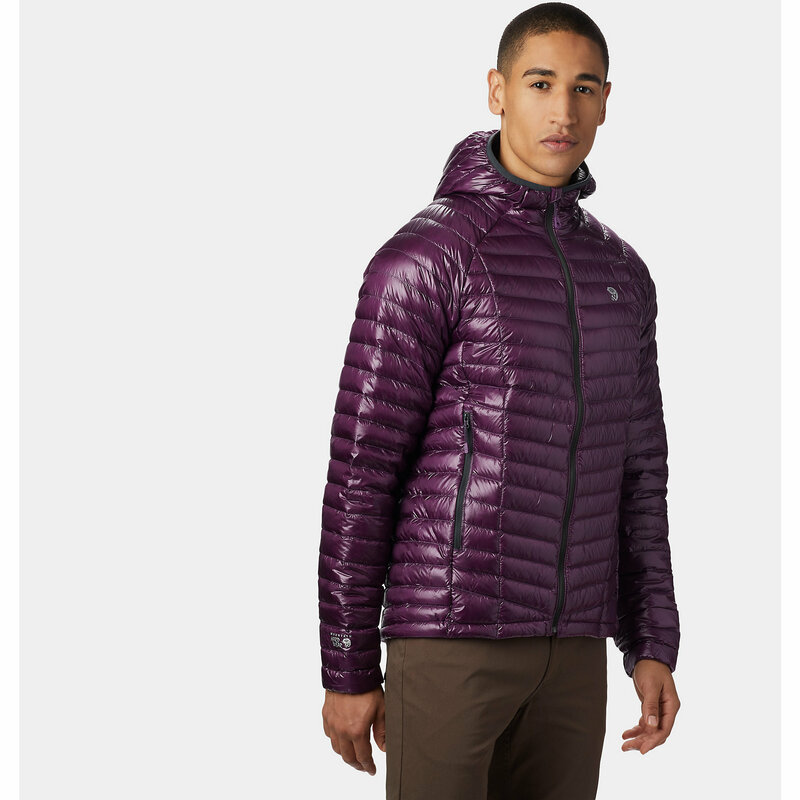 Optimal for all cold weather activities, the Hybridge has been design to provide impressive warmth without restricting mobility so that you can do everything from skiing to hiking. 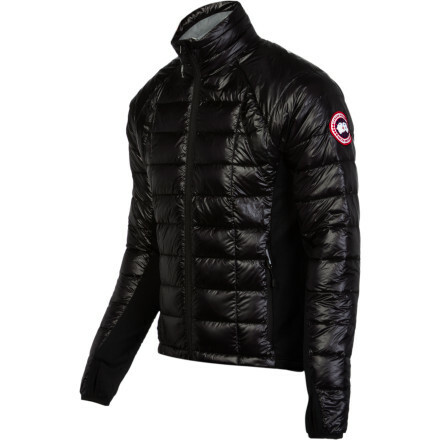 Numerous design features like the articulated elbows and internal stretchable pocket makes the Canada Goose Men's Hybridge Jacket the obvious choice for all cold weather adventures. Shell Fabric	 400 gsm, 80% Polyester / 20% Nylon Polartec® Power Shield® O² with wicking properties and treated with a DWR finish. Shell Fabric	 36 gsm, Lightweight 20D 100% Nylon Fancy Ripstop with a DWR finish. Lining Fabric	 62 gsm, 40D 100% recycled Polyester down proof plain weave treated with a DWR finish.